Awesome. Inspired. Engaged.. Words used by educators and students to describe this assembly. Are your students and educators using words like Awesome, Inspired, and Engaged to describe your school assemblies? These are real descriptors found in the testimonials of principals, PTA organizers, students and teachers after our program. 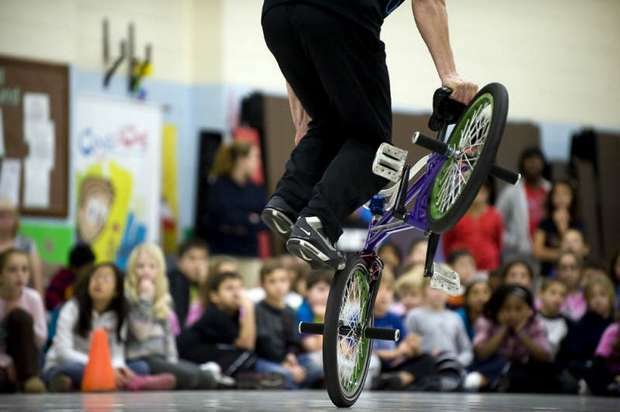 During this highly interactive assembly, appropriate for the Elementary through Middle School audience, the Flowstyle BMX team addresses the important topics of goal-setting and perseverance while also introducing bullying, health and fitness, and diversity to bring together a holistic message. The team will work with you to incorporate your school messaging to ensure we are communicating what is most important to your student body. Practical tips for setting and following goals sets the stage for a persistent theme of “work to achieve"
The holistic approach to this assembly ties all topics into the Anti-Bully theme with simple messaging to support this complex topic. Stephen shares his experiences on his climb and delivers a relatable story. The Flowstyle BMX team has been delivering inspirational assemblies for over a decade. Entertaining your students while conveying important messages, this interactive assembly will quickly become a school favorite with your students and administration. 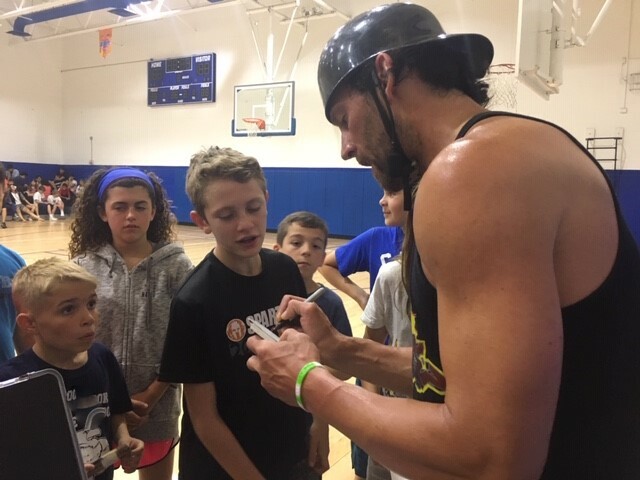 Led by X-Games alumnus, Stephen Cerra, the team will demonstrate challenging BMX tricks that will impress your audience and connect with your students to leave a lasting impact. Stephen’s story of his climb to Professional athlete is relatable to students. Stephen shares stories about his rise to X-Games competitor to help students understand that every climb requires hard work and many “crashes” along the way. Students easily relate to Stephen often not recognizing that he isn’t one of them since he is riding a bike and speaking on pertinent issues. Stephen’s Story: Students connect with my story because I’ve been bullied and had to overcome this and other challenges on my journey. When I moved to Los Angeles to pursue my dream of becoming a professional BMX athlete, I was only living there 6 weeks when I encountered a violent interaction with a bully. I had to make a hard decision between giving up my dream and returning to my home in PA or continuing my path in Los Angeles. I share this story of bullying and perseverance during my assemblies. 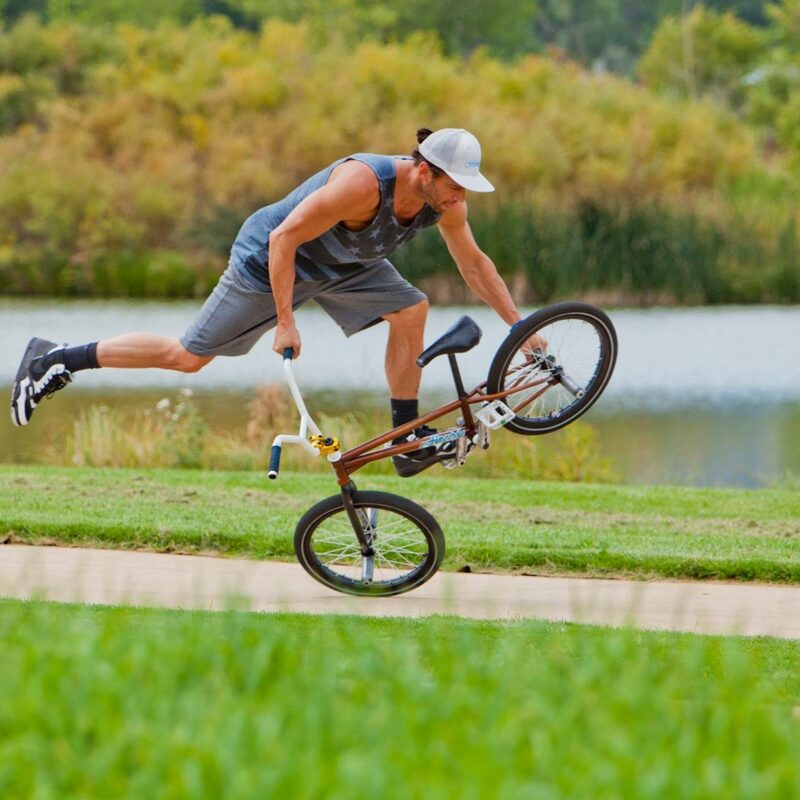 Stephen Cerra is a BMX Flatland rider, motivational speaker and accomplished athlete. He is a four-time X Games competitor, member of the Coca-Cola Hall of Fame, and U.S. Representative to the international Red Bull Circle of Balance competition. He has made numerous television appearances on Fox Sports 2 and ESPN and has been seen in television and print advertising for Coca-Cola, Nike, and Ecko. 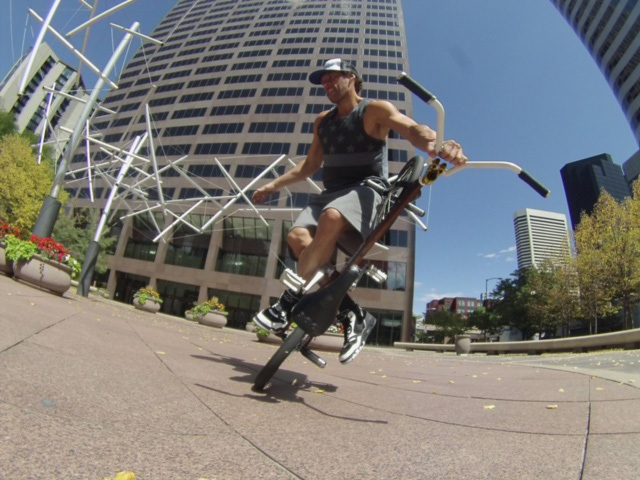 Stephen began competing at the professional level in 1998 and has been awarded top finishes at prestigious events like the ESPN X-Games, ESPN X-Trials, Asian X-Games, Hoffman Bikes CFB, M&M-Mars Games, FISE, and Flatland World Series. In his 20+ year career, Stephen has appeared in countless BMX magazines and videos and represented the U.S. BMX community at events across the world. Stephen trains daily, competes regularly and enjoys motivating the next generation. You guys did a phenomenal job! The students were completely engaged and enthralled by not only the awesome moves, but also your positive message. Everyone was talking about it. I will surely pass on recommendation to my colleagues at the other schools. Thank you for an awesome show! The assembly was a huge success. The kids had a blast and walked away with important info about a very important topic. Thank you again for a fantastic assembly. Everyone had a great time. The kids talked about it for the rest of the day. Thanks for the program. The staff and kids loved it and the messages were right on and well delivered. Thank you for your anti-bullying BMX show! The show had a very strong message for our students. Our students loved the tricks and hearing you speak about being goal oriented and making positive choices in life. The students at Mid Valley loved meeting the riders and the prizes given out for their participation in the program. Thank you to Stephen and Joey for their captivating anti-bullying BMX show! Our students and staff loved the tricks, energy, and their message to put an end to bullying. Everyone had a fantastic time and talked about it all day. We loved having you! Flowstyle’s performance for our PTO family night was very well received. I have heard many positive comments after the show. A week later, and the people are still talking about Flowstyle. They were amazed by the quality of the performance and the tricks that were performed. So glad we had you. We really enjoyed the assembly and thought that the message you brought to the kids was wonderful. We are planning to continue encouraging the students to use the three R’s. We even followed up that day by asking the kids to create their very own goal cards. Thanks for the great time. Our students had a great time with the assembly from Flowstyle. The presentation had a balance of dynamic physical bike stunts and engaging positive messages. Thank you for your work to organize this event and bring Flowstyle to our school. I just wanted to say thank you for putting on an awesome performance and really inspiring the kids in my class. As soon as we got back to the classroom, our kids wrote down their goals for themselves and the response to the show was overwhelmingly positive. They really took a lot away from the show and were pumped about BMX. Thanks again, we loved having you guys. Thank you again for an outstanding show. The students and faculty were in awe! 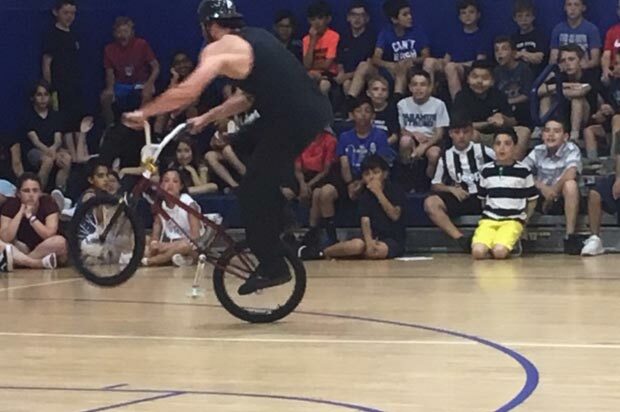 We had an entire day planned with exciting activities, however, no matter who I asked I received the same answer, “the best part of the day was the BMX assembly! Thank you so very much for driving all that distance to deliver such a powerful message to our students! The program was outstanding and the kids thoroughly enjoyed it. It was a highlight of a very successful day for us. I also got great feedback from my teachers regarding the overall message that you delivered. This one two punch made your presentation an absolute success for us and I am very appreciative of all that you did. Thanks again for being with us! Thanks for a great show! The students & faculty loved it. So many were coming up to me after the show and saying how awesome it was . The kids really enjoyed the BMX tricks & the faculty appreciated the positive messages that Stephen spoke about. I will definitely recommend your program to other schools & PTAs. Great way to kick off our summer break. Thank You. Want to work with Stephen?